Stephen and I have been flying by the seat of our pants the last couple of weeks, and sleep has been scarce. We’re both deathly tired, but hey, you gotta do what you gotta do. Anyway, Stephen had to get up earlier than I this morning (and I still got up before the sun rose…), so he was gone when I woke up. It is no fun at all trying to drag yourself out of bed and get ready for work when you’re by yourself and it’s still dark outside. Except imagine that it’s dark outside in these pictures (because I certainly wasn’t toting around my camera that early to get real-time photos for you). 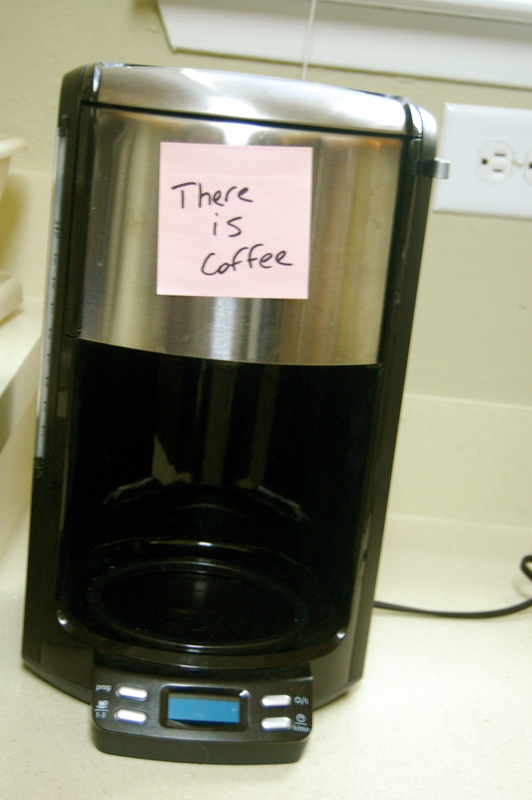 And also imagine that the coffee pot is in its place and not completely empty and sitting in the sink. That is super sweet! Hope you guys get caught up on some much needed rest over the holidays! 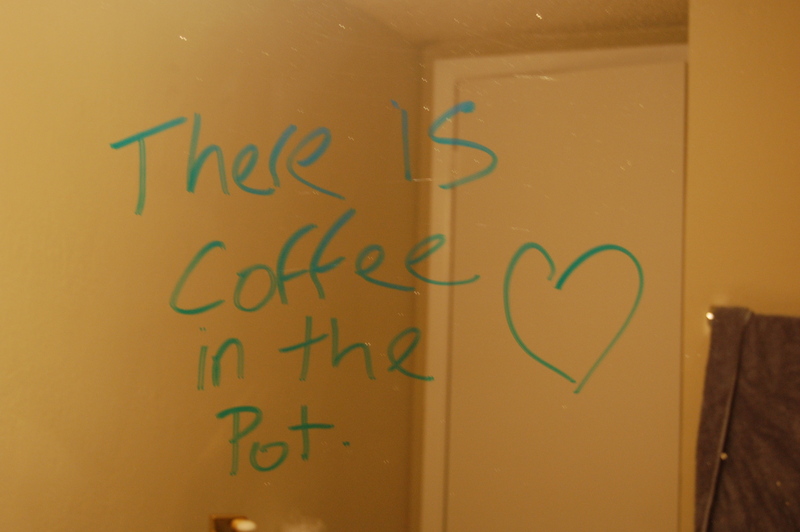 Heehee that second note is so cute: “There is coffee.” Miss you. How sweet is that! Oh muh goodness! 🙂 Well I hope the rest of your holiday experience is more restful. Happy Christmas and thanks for visiting. I’ll visit again, soon. Loving the blog!